Wanting to purchase a plot of land in Thailand? Owning land in Thailand is a complicated process if you are not Thai but we detail the ways in which it can be done. Be warned, owning land is difficult enough for Thai nationals in some cases. It is even harder for foreign investors and expats. 1. Through inheritance – If you are the heir of an estate you can inherit their land. When a person dies, their estate will devolve to you. Any devolution of land, however, must be approved by the Minister of Interior. Moreover, the land area cannot exceed the specifications stated in Section 87 of the Land Code (See below). 2. Through a registered company – If you have shares in a registered Thai company, you can purchase land. You cannot have more than 49% of the business stakehold, however. The actual title deeds must be registered in the name of the Thai national/s who has the majority of business ownership. 3. Through your spouse – Married to a Thai national*? Then you are in luck and can buy land! As with the registered company stipulation, the land must be registered in your spouse’s name. Additionally, the funds used to purchase said land must have come from your spouse. *It should be noted that in the event of a divorce, the foreign spouse cannot claim 50% of land as part of his entitlement. 4. Through investment – For business owners* and investors, the process is a little easier. If you have investment within Thailand equaling at least 40 million Baht, you can apply to purchase land through the BOI (Board of Investment). *Your business must be deemed to contribute to the Thai economy and benefit of the people under the BOI guidelines. For example, if you operated an accounting firm, you would not be able to gain eligibility as easily as an agricultural business. A full list of included business types can be found here. 5. Land Lease – If you want land to build your own property, a land lease is an option. 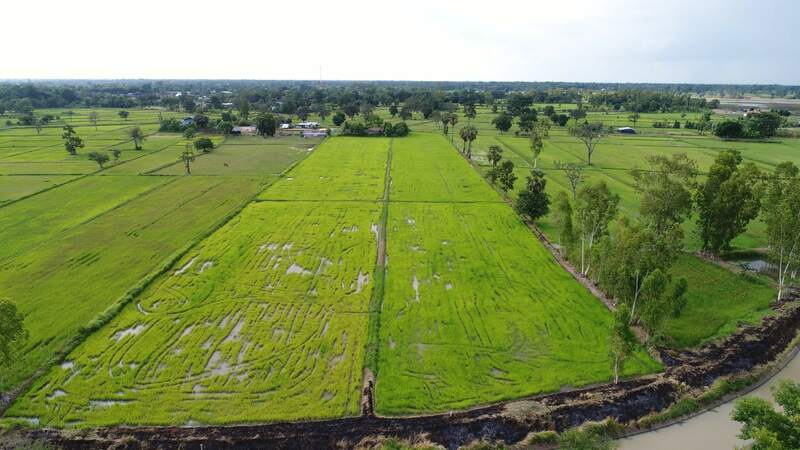 You can agree on a land-lease term with Thai land owner. This can last for a maximum of 30 years and can be renewed at the end of the term. This has recently been increased, as it used to stand at 20 years. ***Foreigner is defined as either a natural or individual person having no Thai nationality or a juristic person (legal entity) which fall into Section 97 of the Land Code. If you are granted permission to purchase land in Thailand, you MUST use that land for the original purpose you proposed. For example, if you bought land for residential usage, you could not then build a factory on it. If you wish to use the land for another purpose, you must apply for permission – this involves filling out a form from the Ministerial Regulation. If you are unsure of any of the above then we advise seeking further advice from the Minister of Interior or BOI website. As you can see it is not beyond the realms of possibility to own land as a foreigner. However, you must comply with a lot of complex rules and be prepared for setbacks along the way. Thailand Real Estate Agency based in Bangkok. We provide a tailored service for international property buyers in Thailand.